I used a DIY kit and made a PCB milling machine. So far I am happy with it but it is slow and the minimum thickness of the lines is depends on the tip's size. I want to replace the cutting bit with laser diode to ablate copper layer directly to ablate acid resistant paint so I would overcome the issues I mentioned. EDIT: As Spehro Pefhany explained removing copper layer with laser requires much powerful laser than a simple laser diode. At this point using a laser diode to ablate paint would be a better way to do this. What type of laser diode I need to use to remove ~1 mm thick paint layer? How can I calculate the minimum power I need to ablate the paint layer? I read about laser diodes, driver circuits, protections (diode itself and human body) but I could not find a decent source about my questions. I used a 808nm 0.5W laser diode and it can remove paint from over the copper layer. An ordinary laser diode won't cut it (literally). You need something like a Q-switched laser, pulsed at 10's of kHz. The peak power has to be extremely high to ablate copper (>2500°C), and some nasty fumes come off the epoxy substrate, which have to be exhausted. Even a 40W \$CO_2\$ CW laser won't cut thin metal foil- it just bounces off. Here's a commercial unit (costs as much as a really nice automobile). If you really want to fool around with this sort of thing, you can find suitable lasers on the surplus market, but it's not going to be a matter of attaching a little diode to an engraver head. Class 4 lasers are not toys! They are getting some very good results, notably they are still using a photo-resist process and not etching the copper off directly with the laser. What about this prototype ? It answers exactly to the original question and is home made with some recovery equipment and it seems that it removes copper perfectly and fast. Not the answer you're looking for? Browse other questions tagged laser laser-diode or ask your own question. 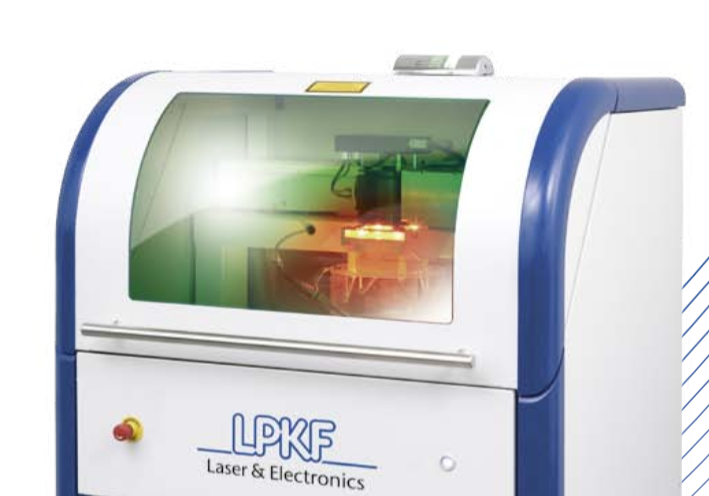 What's the difference between a FP, gain guided and DFB laser diode? most basic laser diode driver? How should I use this laser diode from eBay?